Details James Bond likes nothing better than being in the casino with a huge pile of chips and the reassurance of a gun close at hand. 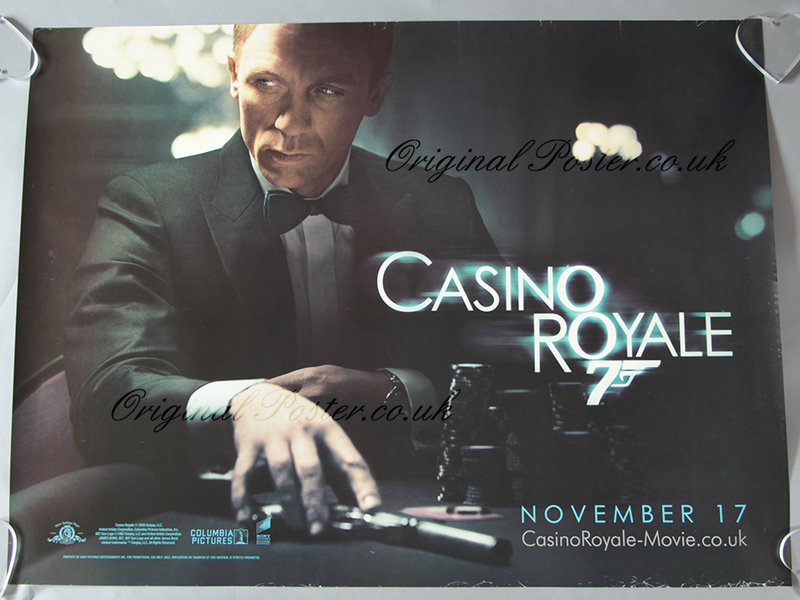 Rolled Double-sided teaser style UK quad film poster for "Casino Royale." featuring Daniel Craig as James Bond. Please note this poster has slight edge wear at the top and bottom as seen.